“Back in 1975, Loren Cunningham (Founder of Youth With A Mission) and Bill Bright (Founder of Campus Crusade for Christ) compared notes one day and discovered that the Lord had put on each their hearts the very same thing about how to disciple the nations and turn them back to God! They found that they both had identified seven areas of influence that shape societies. B = Business and Commerce. C = Church. This also includes the areas of social service. D = Distribution of Media. This includes newspaper, television, journalism, internet, radio, magazines. 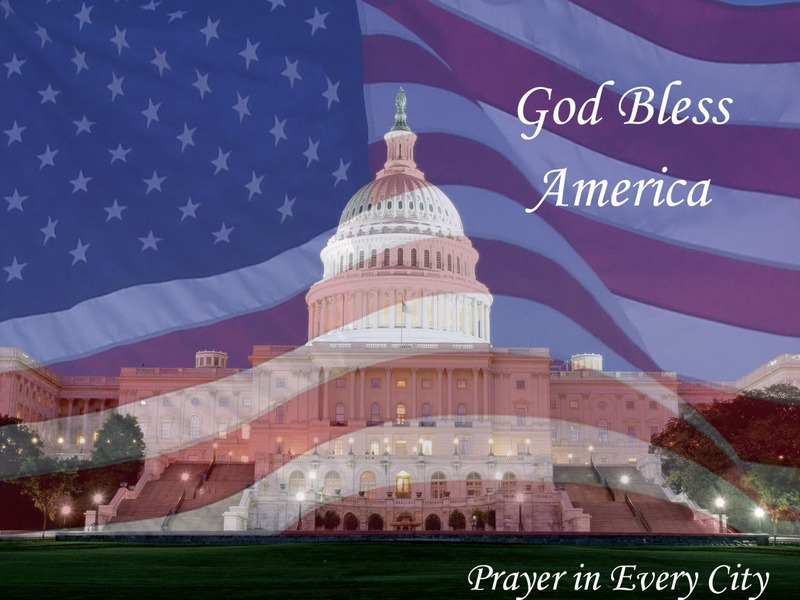 As our nation is about to celebrate its birthday on the 4th of July, we need to think about where we have been as a Nation Under God and what we are now. We are on a downward spiral in all of these above areas. Please join with Prayer in Every City and pray over each of these areas. We need revival and spiritual awakening in the church so we can fulfill the Great Commission by reaching the entire world with the gospel. If Christ returned tomorrow, many in the church would be embarrassed to stand before a holy God.